The Leader board for the Fry’s wasn’t bad for a Fall Finish event. Kid Puma was lead Ryder Cupper but there were some other interesting names. Nice to see David Duval bring home $150K or so…after getting dumped by Nike, he needed it. 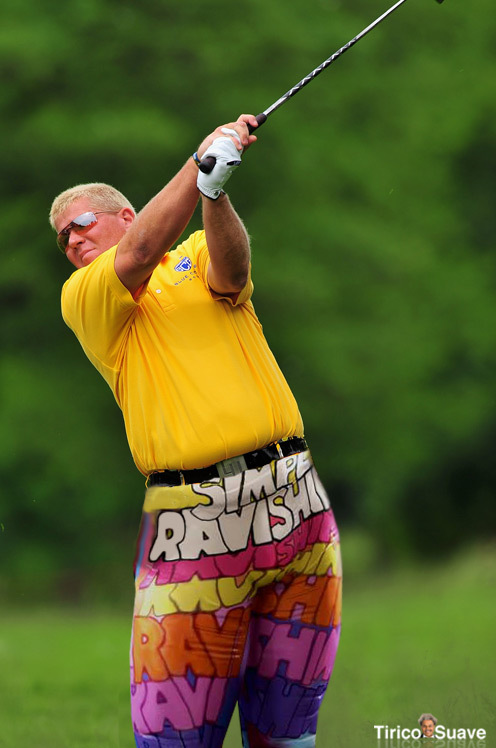 Biggest choker for the week was almost Kid Rock, but the birdie eagle finish saved him…Van Pelt wins if he shoots 2 under instead of even, but we’ll give the biggest choker award to the Big Man himself, John Daly who carded a smooth +11 82 to move from 5 under to 6 over. A three under 68 would have given the Big Man a top 20 finish and about $50K…now FJM has spent some time in the Greater San Jose area where this tourney took place, it is possible to get in trouble in these parts on a Saturday Night, FJM is betting that the Big Man hit http://www.gardencitycasino.com/ in order to parlay his endorsement contract from Loudmouth Pants into a serious tax loss…word out of Vegas is that nobody yells hit me on 16 louder than the Big Man.